He is the God who does not change. 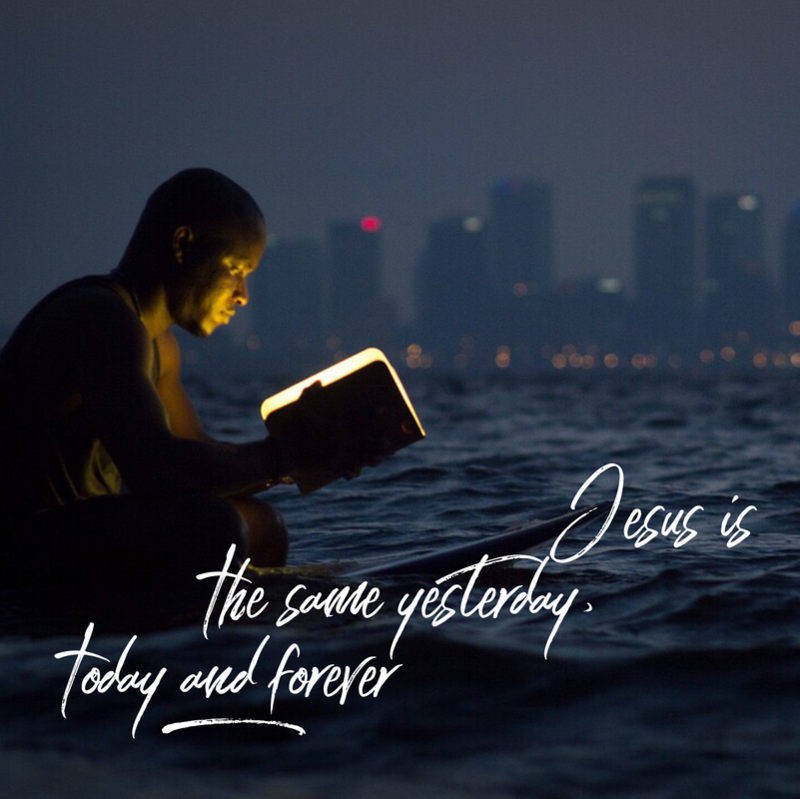 He remains the same yesterday, today and forever (Hebrews 13:8). But what does this mean for your life? Some would equate God’s changelessness with a robotic-like gesture. He always carries out the same motion and same answers like a computer program. But is this really the meaning behind the changeless God? No, God is changeless in his faithfulness toward you. Though you can be given to moods and ever-changing passions, God is consistent in his dealings with you. Every movement that he makes in your life is done for your best. He treats you with steadiness and a consistent motivation of love. Do not confuse God’s changelessness with a lack of emotion. For he grieves over your sin, just as he did over the sin of Israel. This changeless God feels deeply over acts of betrayal and loyalty from his people (See Malachi 3). He longs for your love. He waits for your response of faith as a husband waits for his wife (See Hosea 2). Praise God that he remains the same in his choice to sacrifice for you. He promised and then fulfilled his promise to give you his Son, Jesus. Though your rebellion would hurt his heart, he does not change in his position of sacrificial love toward you. He is the changeless God. Remember how he has shown his faithfulness to you in this past year. Take a moment to thank him for his consistency in your life.